Back in 2014 I 'spent' £10 on a Deki loan. 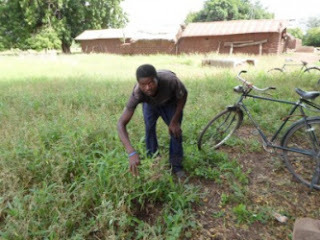 I lent it to a farmer in West Ghana, he needed to borrow £60 to buy seeds and fertiliser. Once the whole loan had been raised and I guess his profit on his farm started to turn around, he paid me back. 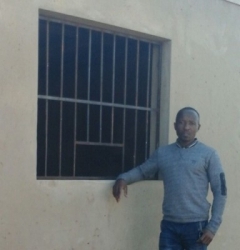 I added another £10 and loaned £20 to a shop keeper in Soweto that needed £280 to buy a generator because of electricity supply cuts were affecting his business. Again, my money was repaid back. So I added another £10 and loaned £30 to Alfacksadi "He lives with his wife and children in Chiwisi on the shores of Lake Malawi. He has eight children aged between 18 and 2 and most of them attend school.The family also support and care for two orphaned boys. Alfacksadi runs a fishing business and his wife is a farmer. He works on average 56 hours a week. He has applied for a loan through Deki to increase his working capital. He plans to buy more fish with his loan, which will help him increase his sales and income. Alfacksadi said that the loan "will help to improve the living standard" of his family. In the future, he aspires to build a good house for his family." Alfacksadi needed £100. This time his total loan was raised very quickly and I received back all £30 very fast indeed. So, (because now it was a habit!) I added another £10 and I had £40 to relend. I have given £10 to Primrose in Sowetto. She needed £250 to buy a computer and printer to help her start an internet cafe business. She raised all of the money for her loan and has paid half of it back already. I like the sound of single mum Primrose, I'm really rooting for her to have a successful business. I gave £10 to Deline, also in Sowetto, who has bought a new sewing machine for her business, she hasn't paid any back yet. £10 to Marta who "lives in Wabigalo, Uganda after she was displaced by war from South Sudan along with her family. Her husband and three children, aged between 5 and 13, live with her. All her children attend the school. Her husband runs a small business. Marta owns an off-licence. Marta sells both alcoholic and non-alcoholic drinks in the community of Wabigalo and her business is doing well. She dreams of expanding her business but she does not qualify for a bank loan because she's a refugee. Instead she has applied for a loan through Deki. Marta will use the loan to buy six jerry cans of alcohol meet the customers' needs. This will increase her income. Her dream is to save money and build a house for her family. 'The loan will pay for my children's school fees and improve my standards of living together with my children' she said." And £10 to Rachel in Nhkata Bay, who is starting a pig farm at home so she can work from home whilst looking after her children. These people are working hard to make a good life in their own countries. I feel really privileged to have the opportunity to help some of them achieve that. I also feel that the more we can help people pull themselves out of poverty in their home lands, the less they will have the need to take perilous journeys to Europe risk their lives and putting their hard earned money into the hands of unscrupulous traffickers. It is really easy to do, just a few clicks and you choose the entrepreneurs you want to lend to, see the payments going and coming back. I loaned £10 myself that Christmas and have continued to relend the money, it gives me a sense of doing something when sometimes it seems impossible to know what to do to help people that weren't born into the same western privilege as most of us.